The Massachusetts based multinational financial services firm will allegedly launch its Bitcoin (BTC) custody service. This was the next step of the company firm after they announced the launch of their new company as 'Fidelity Digital Asset Services', way back October 2018. As Bloomberg stated in their reports on January 29, the Bitcoin (BTC) custody offering will be opened in March 2019, citing the three persons with knowledge of the matter. 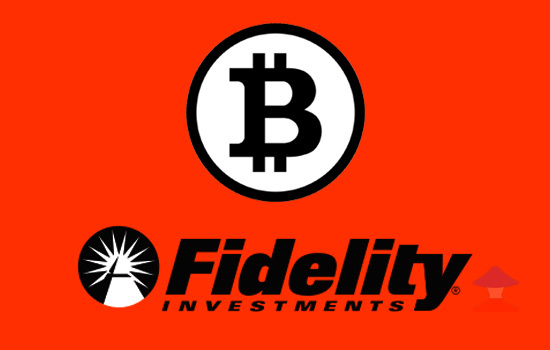 The Fidelity Investments Inc., which commonly known as Fidelity, is one of the biggest asset managers with over $7.4 trillion in client assets, will soon open its door for their new services to the institutional investors like 'hedge funds, family offices and market intermediaries,' but will not for now be open to retail crypto investors. According to Massachusetts-based firm said, "We are currently serving a select set of eligible clients as we continue to build our initial solutions,"
"Over the next several months, we will thoughtfully engage with and prioritize prospective clients based on needs, jurisdiction and other factors," the company added. According Bloomberg reports, "Fidelity Chief Executive Officer Abigail Johnson has been a proponent of digital assets, setting her apart from many rivals. Under her leadership, the firm began mining Bitcoin in 2015. She’s betting the business, dubbed Fidelity Digital Assets, will appeal to Wall Street’s relatively nascent appetite for trading and safeguarding digital currencies." Currently, Fidelity provides retirement savings and mutual funds services. The company is aiming to leverage its well-known name and win over institutional customers keen on digital currency trading. They hired intelligent people from the crypto world, notably Tom Jessop as head of corporate business development a year ago. He was previously president of Chain Inc., which offers blockchain technology to financial companies. Comments or suggestions about "Fidelity plan to Launch of Bitcoin Custody Service by March" is important to us, you may share it by using the comment box below.